Staff Human Resources (SHR) provides support to staff employees and students employed in staff job titles. The Academic Personnel Office (APO) provides support to academic employees and students employed in academic job titles. If you aren’t sure who to contact with your question or concern, please contact the CruzPay Office at cruzpay_help@ucsc.edu and we’ll be happy to direct you to the appropriate contact. Your position is eligible for CruzPay (for confirmation contact your Timekeeper). The Payroll/Personnel System (PPS) has been updated with your current information (for confirmation contact your Timekeeper). You have been issued a CruzID and have claimed your CruzID Gold credentials. If you do not know your CruzID, you may search for it using the Campus Directory, or by contacting the ITS Help Desk at help@ucsc.edu or 459-4357. If you do not know your CruzID Gold password, the ITS Help Desk can assist you at help@ucsc.edu or 459-4357. Once these criteria are met, your CruzPay account will be automatically created. If you are not able to access your CruzPay account with your CruzID Gold credentials or have other account questions, please contact the CruzPay Office at cruzpay_help@ucsc.edu. ​Your CruzPay user ID will be the same as your CruzID. This is the beginning of your UCSC Google Email address minus ‘@ucsc.edu’. You will use your CruzID Gold password to access CruzPay. If you do not know your CruzID Gold password, the ITS Help Desk can assist you at help@ucsc.edu or 459-4357. More helpful CruzID Gold information is available here. There are error messages built into the system to describe what incorrect action was made. If you need to contact our office regarding an error, please include the error text and any error numbers in your communication. Login has failed. Double-check your username and password. This message means you have typed either your password or login incorrectly. Please double check that you are using your CruzID and CruzID Gold password. If you do not know your CruzID Gold password, the ITS Help Desk can assist you at help@ucsc.edu or 459-4357. More helpful CruzID Gold information is available here. CruzPay is compatible with all browsers and operating systems supported by UCSC ITS, but some users may also have success with other configurations. If issues arise, users may be advised to use supported browsers.  If you need assistance with updating your workstation software, please contact the ITS Help Desk at 459-HELP (4357) or help@ucsc.edu. If you encounter any difficulties while using CruzPay, please don’t hesitate to contact us at cruzpay_help@ucsc.edu. ​Mozilla Firefox is the recommended browser for use with the CruzPay system for both PC and Mac. You can download Mozilla Firefox here. For PCs, Firefox is recommended over Internet Explorer (IE) because IE has somewhat longer load times when using CruzPay. For Macs, Firefox is recommended over Safari because Safari does not allow pop-up windows to be permitted from specific websites only. You are welcome to use Safari if you choose, but you will need to disable pop-up window blocking if you will be printing timesheets from CruzPay. Pop-ups must be enabled in order to print a copy of your timesheet. To enable pop-up windows for the CruzPay site, please find the browser you are using below, and follow the directions given. Choose Content or Web Features, depending on your version. If you have allowed pop-up windows for the CruzPay system, and are still having trouble submitting, you may have a secondary pop-up blocker installed in your system. Both Google Toolbar and Yahoo! Toolbar have pop-up blocker components. Configuring these should allow pop-up windows. You have Google Toolbar installed if you see the following below the address bar in your browser window. You have Yahoo Toolbar installed if you see the following below the address bar in your browser window. Choose Always allow pop-ups from this site. Right click on the desktop and choose New -> Shortcut from the pop-up menu. Important: Include the quotation marks! Click Next. Type a title to appear under the shortcut; for example, CruzPay. If you like, you can change the shortcut icon picture by right-clicking on the icon, choosing Properties, then clicking on the Change Icon button. You can download a CruzPay specific icon by right clicking and choosing "Save Target As", or "Save Link As". Click and drag the small icon to the left of http://cruzpay.ucsc.edu in your navigation bar to your desktop. UCSC Google Email lets you automatically forward incoming mail to another address, if you'd like. Click the gear icon at the top of any UCSC Google Email page and choose Mail settings. Open your forwarding email account, and find the confirmation message from "UC Santa Cruz team." Back in your UCSC Google Email account, select the 'Forward a copy of incoming mail to...' option and select your forwarding address from the drop-down menu. Select the action you'd like your messages to take from the drop-down menu. You can choose to keep UCSC Google Email's copy of the message in your inbox, or you can send it automatically to All Mail or Trash. In the "Forwarding" section, select the Disable forwarding radio button. Click the first drop-down menu in the "Forwarding" section and check for any forwards created by filtering. If you suspect that forwarding was added without your permission, change your password immediately. Click here to learn how this can happen. Get help by contacting Information Technology Services (ITS).